Design and technology is part of everyday life and is constantly evolving to develop vital life skills. Studying Design and Technology includes the use of a broad range of knowledge, skills, and understanding, and prompts engagement in a wide variety of activities. Students design and make products that solve real and relevant problems within a variety of contexts whilst developing a critical understanding of the impact on daily life and the wider world. In Year 7, 8 & 9 students rotate between Food Preparation and Nutrition, Resistant Materials and Textiles. During an average 8 week module, studying 2 hours per week, they will develop and enhance their skills within each subject area. Students will become equipped with the knowledge, understanding, skills and encouragement they need to independently prepare and cook healthy, nutritious food. The principles of food science, nutrition and health underpin their studies. Students combine practical and technological skills with creative thinking to design and make products and systems that meet society’s needs. Students develop thinking skills which lead towards invention and design innovation. The curriculum focuses on students becoming critical and creative designers of the future. 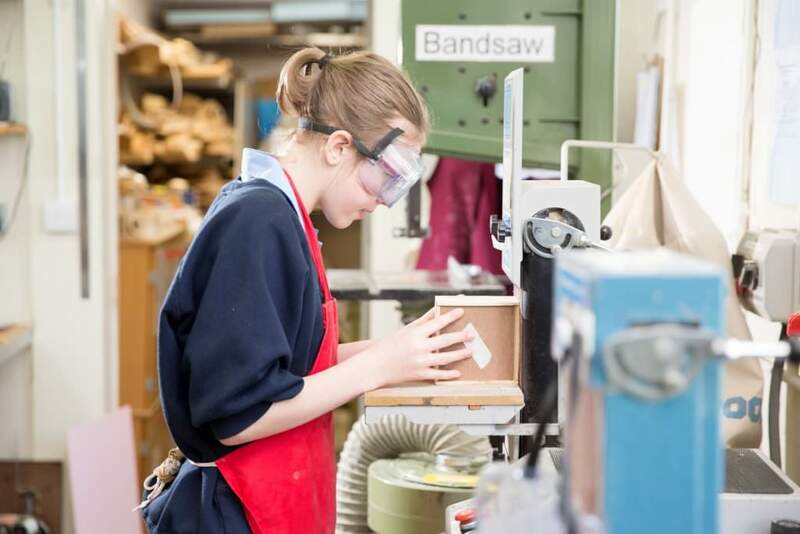 At KS4 students can chose to develop their subject knowledge further by opting to take a GCSE in: Food Preparation & Nutrition, Art & Design: Textile Design and/or Design & Technology: Graphics. Our GCSE results have been consistently above national averages over the past decade; this is something we are very proud of.